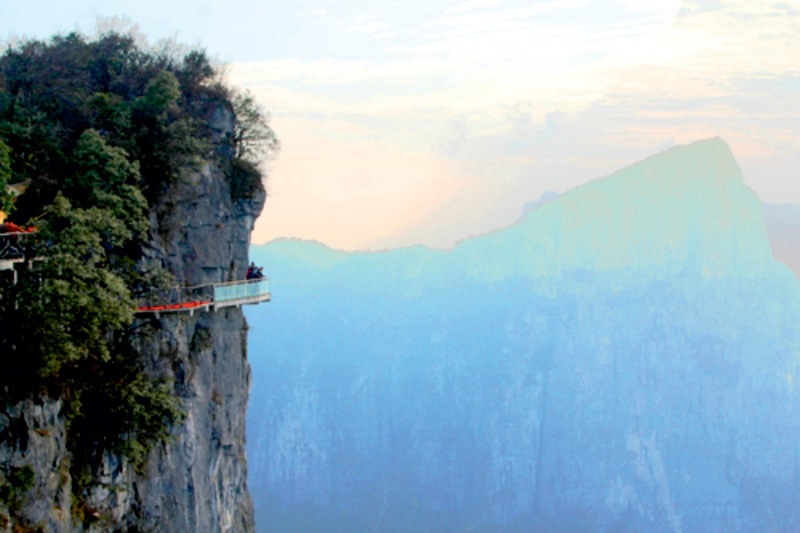 Especially suitable for daring travelers with a taste for the extreme, these treacherous hikes are all found in extremely risky locations around the world. The breath-taking trails all have magnificent scenery, but even for fearless trekkers, reaching the end of the journey will not be an easy feat. One word of caution: "Be sure to watch your step!" Consisting of a pathway made from wooden planks that are situated high up a mountain wall, this hair-raising hike is located on one of the "5 Great Mountains" of China and passes by a suspended moastery on its way to an ultra-steep pathway and the journey's final destination - a small teahouse that awaits for those who actually succeed in reaching the top of this harrowing trail. 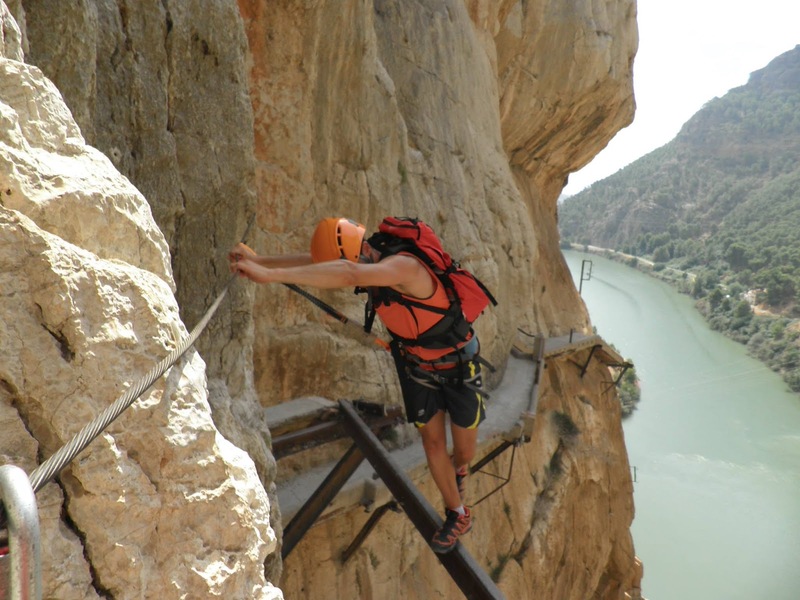 Originally constructed in 1921 as part of the Conde de Guadalhorce Dam, this precarious trail has since lost most of its safety rails and consists only of a thin metal beam in places. 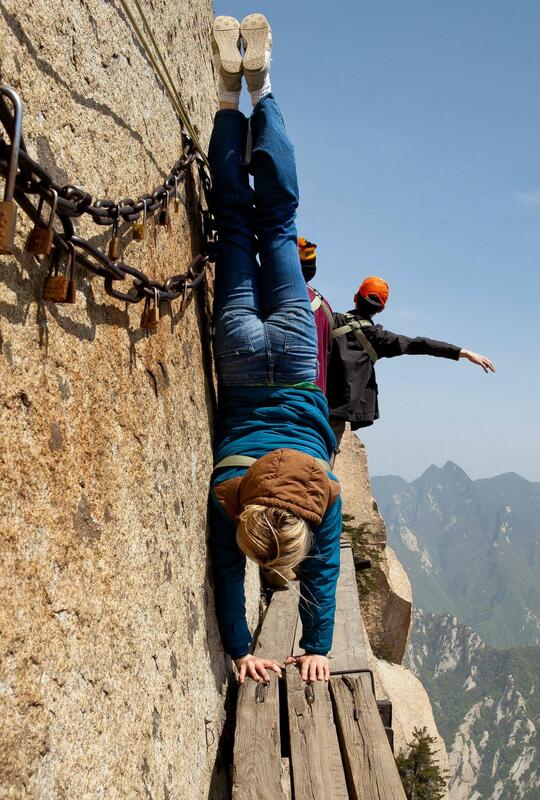 Having been the location of more than one fatal accident, this site is not for timid tourists and requires rigorous climbing and a death-defying mentality. 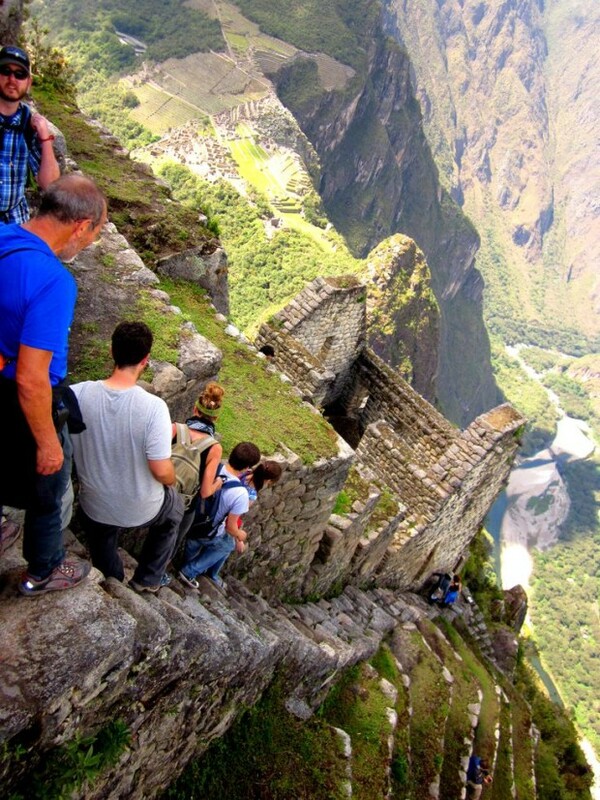 Located high above the Machu Picchu site, this mountain trail rises 1,180 feet above the famous ruins and offers hikers a splendid view from what was once the residence of the Inca tribe's high priest. The trail may be covered with fog and is often wet and slippery so all visitors should definitely take care! Towering 4,737 feet above the valley below, this steep incline travels a distance of 8.2 miles and provides climbers with nothing more than a steel cable for the final stretch. With approximately 50,000 climbers every year, this site is gaining in popularity although the ascent is quite difficult and also known to be the site of numerous lightning strikes. Including 21 steep hairpin turns, a beautiful scenic view point half way up the mountain called Scout's Lookout and a final steep ascent along difficult pathways with sharp drop-offs and cliffs, this breath-taking location has also been the site of a few climbing fatalities over the years although hikers continue to arrive to take the challenge despite the risks. 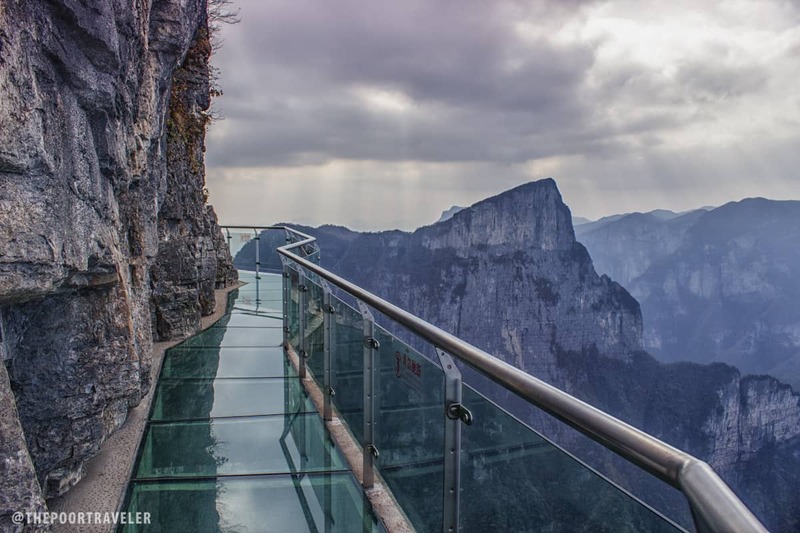 Constructed from 2.5 inch glass and situated 4,000 feet above the ravine below, this is not a particularly difficult hike although looking down can definitely be a nerve-rattling sight. 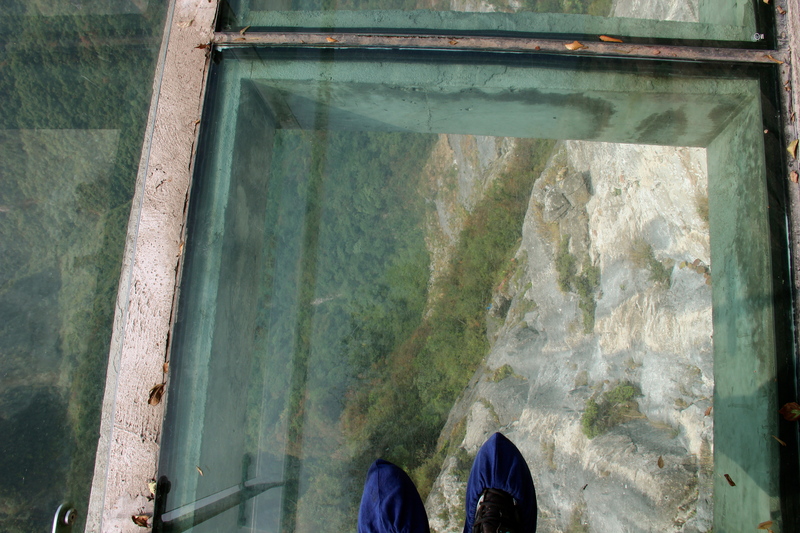 Visitors to this suspended bridge are asked to remove or cover their shoes with cloth bags when passing over it, so make sure that you watch your step and be careful not to slip. 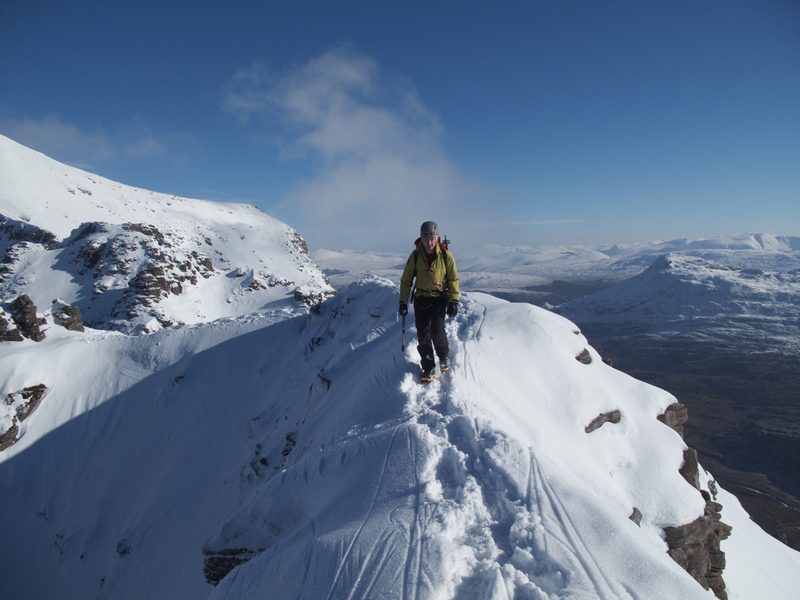 A well known location in the Torridon Hills, this mountain towers 3,641 feet over the valley below and has a trail that requires hiking over extremely steep descents and pinnacles. 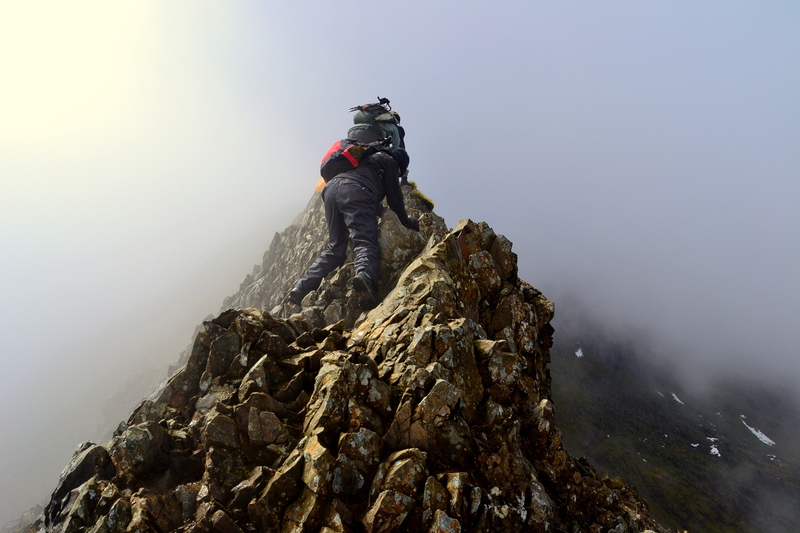 When climbing this mountain, it is nearly imperative to reach the top because there are only a few available spots along the way that can be used for descent or for possible retreat. 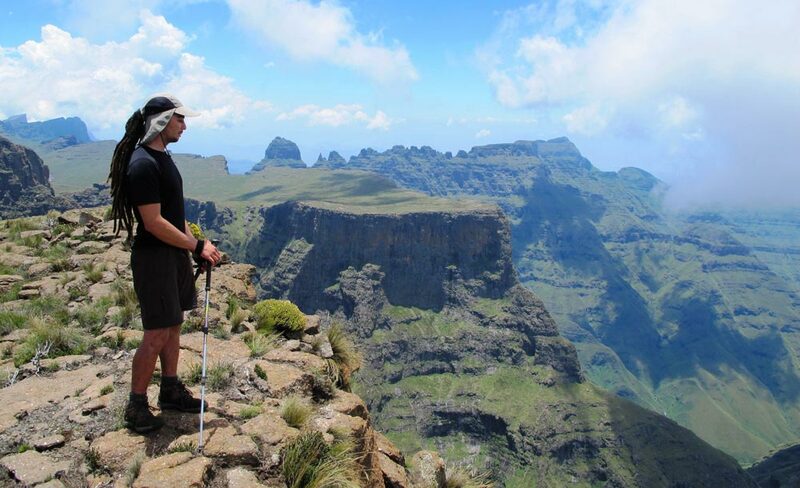 This venturesome climb will require trekkers to use both hands and feet as they make their way over the top of this treacherous peak. Extreme caution is urged as many visitors have lost their lives here so climbers need to be thoroughly experienced. It is also one of the wettest locations in the UK and bound to be extremely slippery, so if you want to try this hike get yourself a pair of shoes with extra good traction. With a precarious trail that lasts more than 4 miles, this ascent will allow climbers a spectacular view of the beach of Oahu from an elevation of 2000 feet. 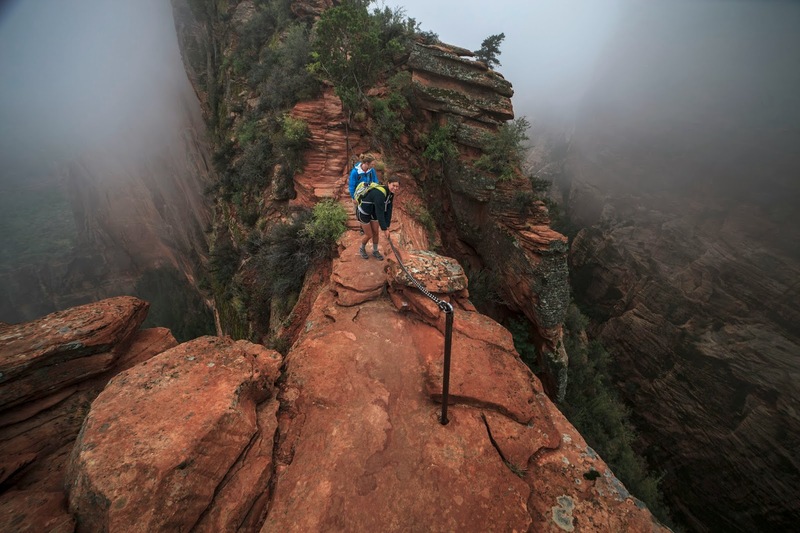 This hike includes a safety cable along the way for support but climbers are encouraged to test them before use to make sure that they are securely connected. With a final stretch that consists of a series of metal ladders that are attached to the rocks, this sharp ascent begins at 8,200 feet so climbers should be aware that the oxygen will get very thin as they ascend. Considered to be one of the most “impressive cliff faces on Earth”, this 5 hour hike will offer a spectacular view of the valley below but is known to be quite strenuous. If you appreciated this adventurous article, why not share it with your friends on Facebook and enjoy hearing their reactions too!